Recruitment and selection can be complex because people are complex. Often we recruit star candidates only to find on the job they lack the ‘something special’ we saw in the interview. Recruit to Level 3 (click on the image below) with some Level 2 attributes for a successful recruit. 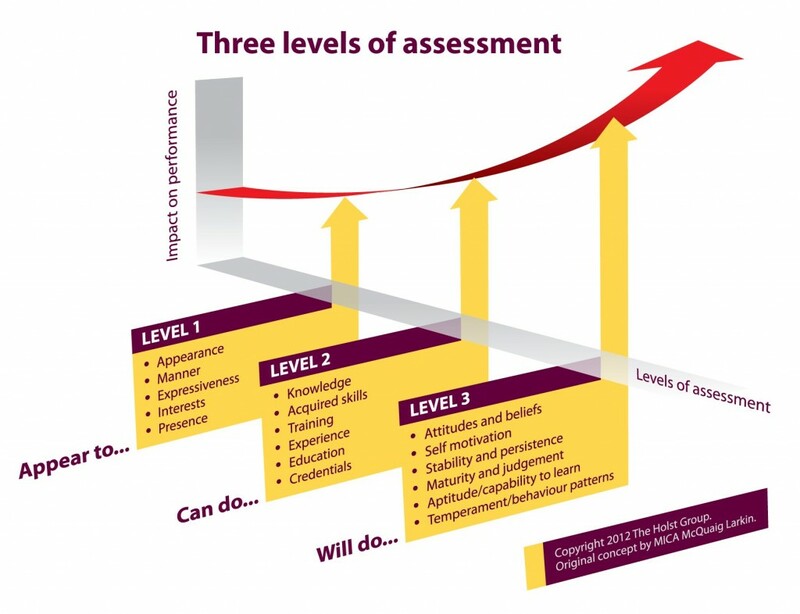 Assessing candidates to a Level 3 standard against job requirements ensures we make smarter people decisions. This saves us time. This saves us money.